Browsing a website on your Android phone is easy. You just have to connect to a WIFI/3G network, launch your browser app and start browsing. When you chance upon an interesting webpage that you want to read later, you can either add it to bookmarks or save it with Read It Later app (like Instapaper). Another good way is to convert the webpage into a PDF file so you can read it on the move, even without an Internet connection. 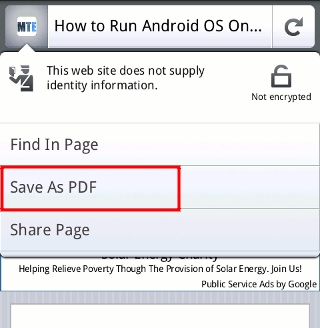 There are several ways to convert a webpage to PDF in Android. If you have installed the Firefox browser for Mobile, you will know that it comes with plenty of goodness, including Firefox Sync, tabs support, addons support and personalized start page. The latest beta update also comes with a new feature – Save webpage to PDF. 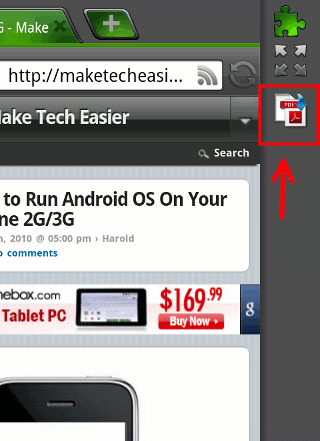 Using the Firefox browser app, on any webpage that you want to save, press the Menu button and tap on “Site Options”. This will bring up another window with the “Save to PDF” option. Tap on it. It will automatically save the webpage as PDF in the Downloads folder. Dolphin HD browser is one of the few great Android browsers that comes with gesture, tabs and addons support. One of its many addons is Web to PDF that allows you to save a webpage to PDF file. As the name implies, the Web to PDF addon requires Dolphin HD browser to work. There is no activation required. You can use it as soon as you installed it. At any webpage that you want to convert to PDF, just slide the page to the left to reveal the right sidebar. Tap on the PDF icon. It will prompt you to enter the name of the file. Once you tap “OK”, it will start the conversion. UrlToPDF is a bit more troublesome to use. In your browser, you have to first copy the web URL of the webpage you are going to convert. Open the UrlToPDF app and paste the URL in, then can you click the Send button to start the conversion. On the other hand, UrlToPDF makes up what it is lacking by providing you with several PDF converter tools. You can choose from Joliprint, Pdfmyurl or CreatePdf. In addition, I also find its quality of the converted PDF better than Firefox and Dolphin HD. It is also formatted for easy reading on a mobile device. What other ways do you use to convert webpage to PDF in Android? I can see only limited use for this function, but still it is cool all the same. Limited use? This is a much needed app. 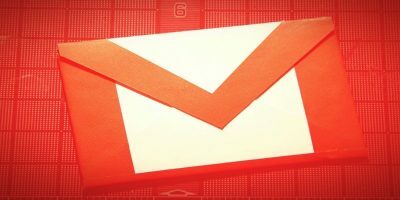 Printing things on the go to file is something Android users have longed to do for a while.